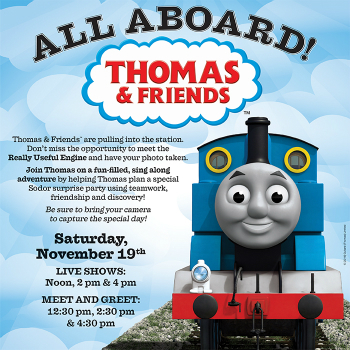 Thomas & Friends are coming to Stone Crest Mall this Saturday. Bring the kids as they get a opportunity to meet the famous engine and have your photo taken. There will be sing a long’s and games. Make sure you bring your camera. This event will be held at Stonecrest Mall Saturday November 19th.